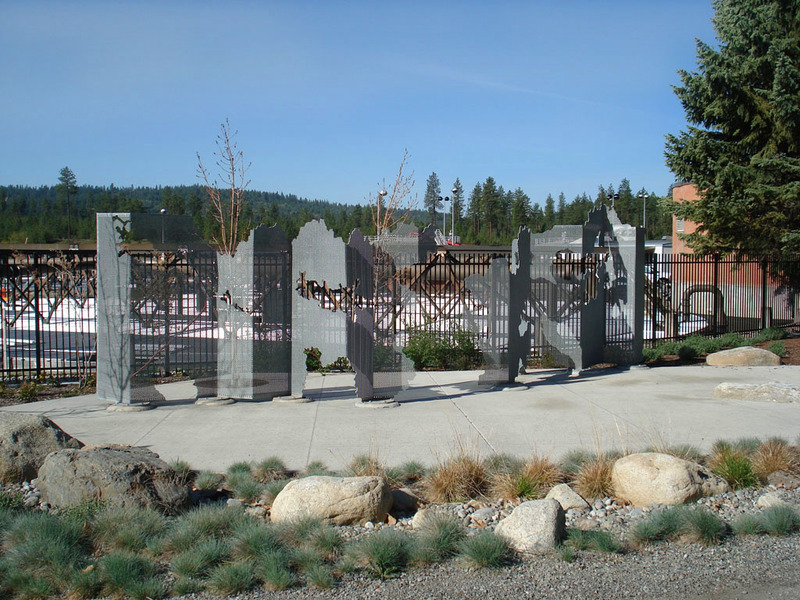 Public Art Commission for The Riverside Park Water Reclamation Facility. Located in Spokane, WA. 2004. Size: 13′-6″h x 40’w x 4’d. 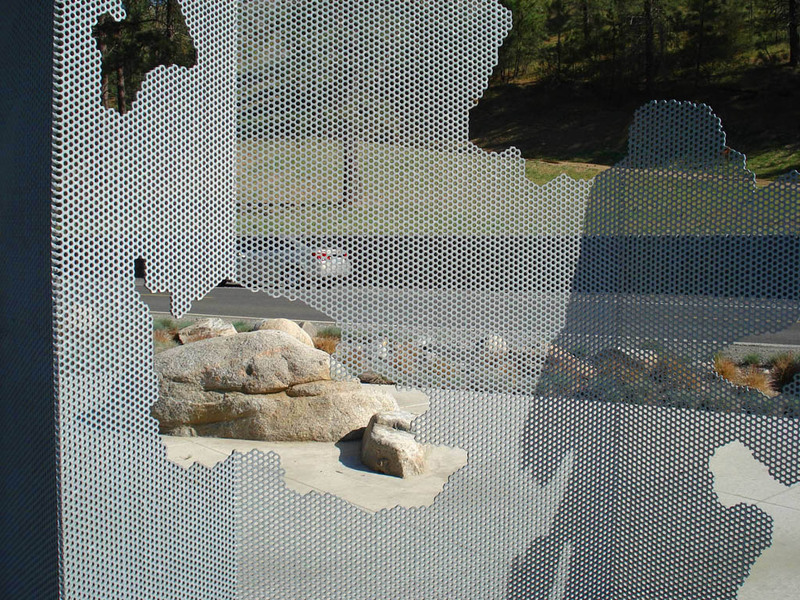 Materials: perforated galvanized steel and cast-in-place concrete. From the sky, the wastewater treatment plant looks like a flow diagram of filtration- an arrangement of settlers, clarifiers, and aerators. 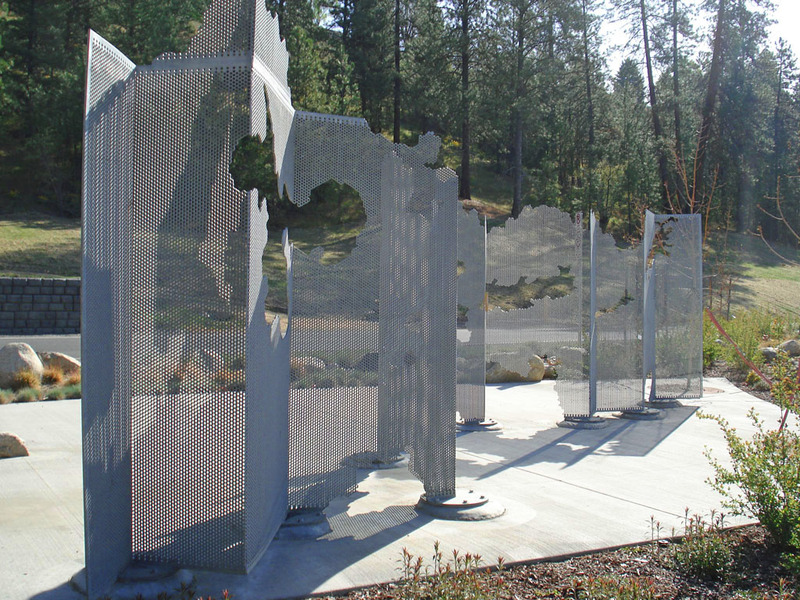 Evaporation Screen was inspired by the function of the Spokane Advanced Wastewater Treatment Plant as a screen that attempts to join industry with the natural cycles of lakes, rivers, aquifers and sun. 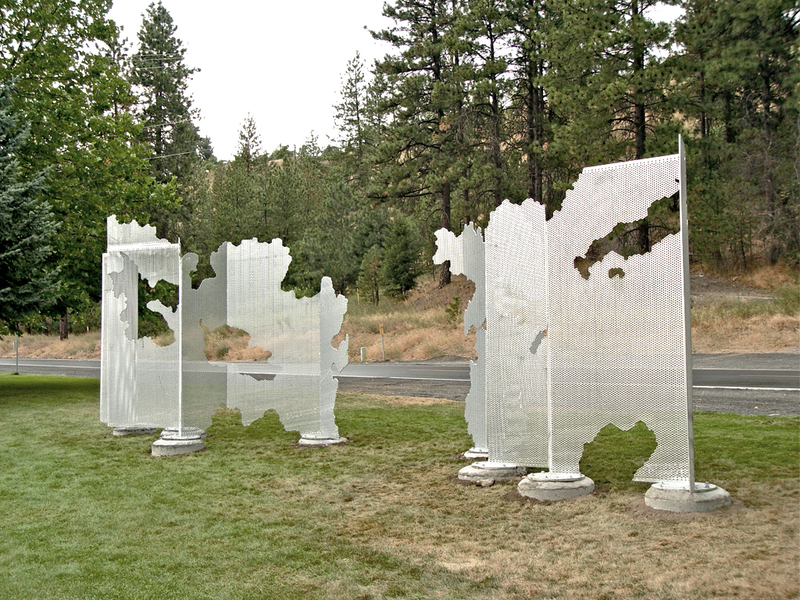 Evaporation Screen is composed of maps of local lakes, mountains and cloud formations taken from cloud formation images and surrounding G.I.S. topography maps. Part industrial sieve and part natural light, the perforated metal panels filter views of the facility back into the surrounding environment. 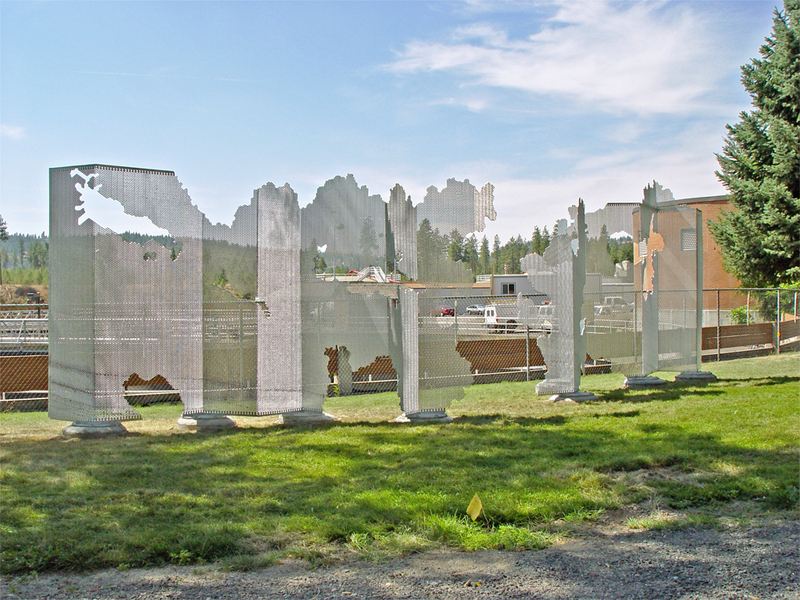 The sculpture, at times, disappears into its surroundings like a cloud of mist. When illuminated with sunlight, the screen appears solid. Evaporation Screen is a tribute to the ever present and sculptural nature of water, which erodes and forms and sustains our surrounding environment.